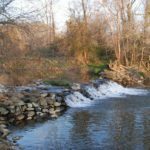 This leisurely hike (1.5 round trip) starts at the Old Mill at the bottom of Main Street. The trail starts behind the mill. It is almost completely flat. 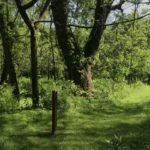 It is an interpretive trail going through the Phillips Farm and details the natural and cultural history of the property, with numbered posts corresponding to points of interest. 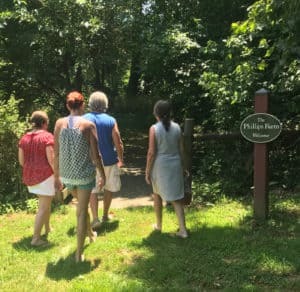 The land once belonged to the Phillips family back in the 1700s. 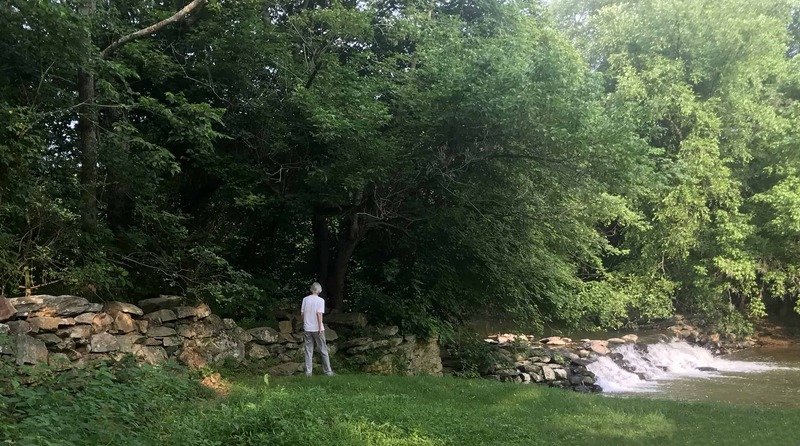 Since 1943, the community of Waterford and the Waterford Foundation have worked hard to preserve the open spaces within and around the Village. We invite you to visit and enjoy these spaces, and to treat them with care so that future generations may enjoy them, too. 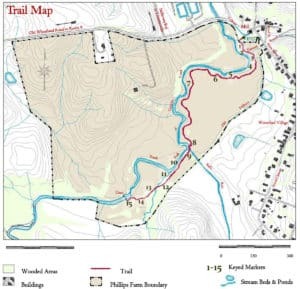 You may wish to make a donation to the Foundation and help support the trail. 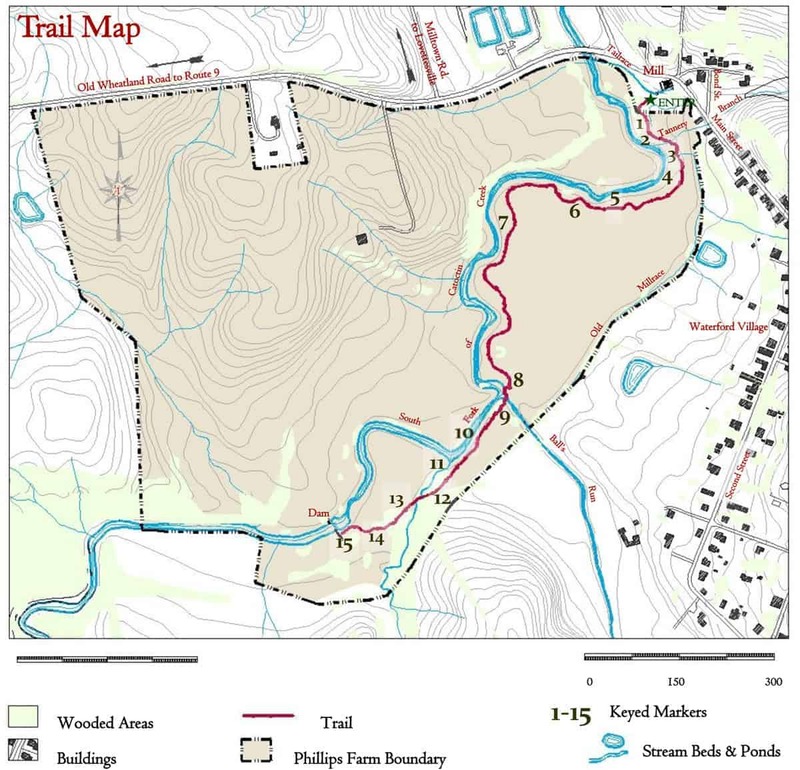 The trail follows the Catoctin Creek meandering through old farm land. During the summer the meadow is be a great spot for spotting monarch butterflies as it is full of milkweed. Please follow the Rules of the Trail. 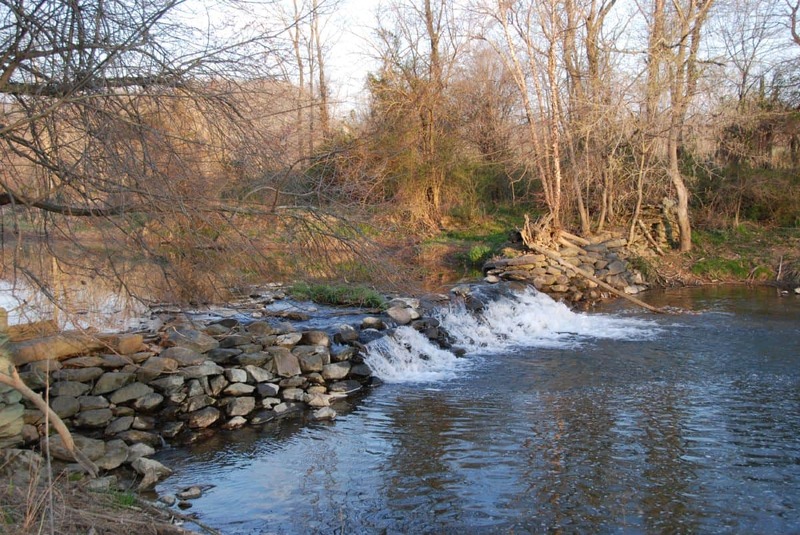 The power potential of the South Fork of Catoctin Creek helped draw skilled Pennsylvania Quakers in the mid 1700s to settle what is now Waterford. For 200 years the stream powered grain, saw and woolen mills, including the three story brick mill still standing. But the creek was also an obstacle to transportation and dangerous to ford during high water. The current bridge is just the latest of many. 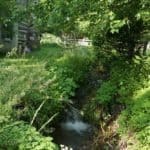 A covered wooden bridge panned the creek from the 1830s until it was swept away in the 1889 storm that caused the Johnstown Flood disaster in Pennsylvania. In the summer, common milkweed is in bloom here. 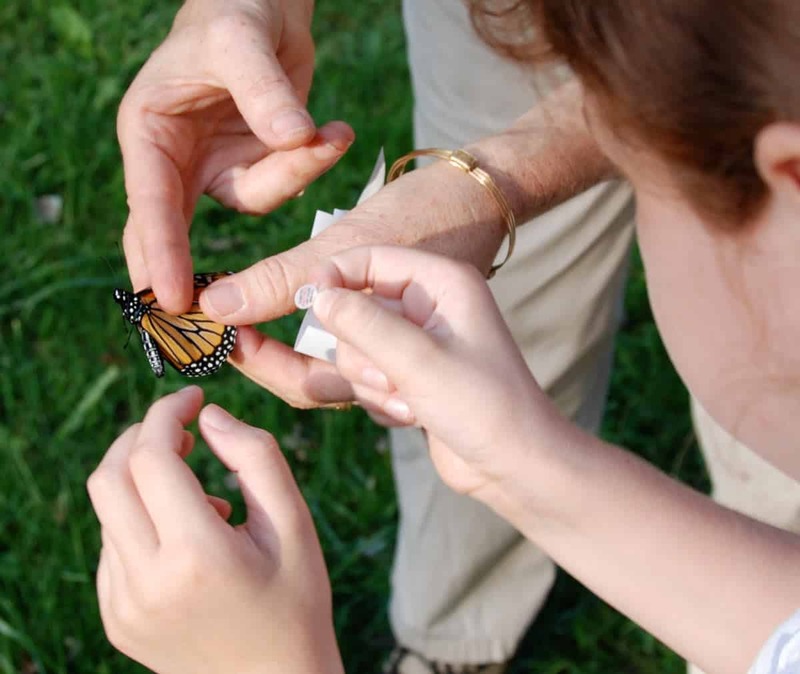 Female monarch butterflies will lay their eggs only on milkweed, the sole host plant for monarch caterpillars. 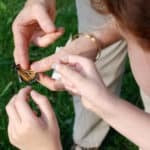 The plentiful milkweed on the Phillips Farm has earned it formal recognition as a “Monarch Way Station” by the Monarch Watch Organization. 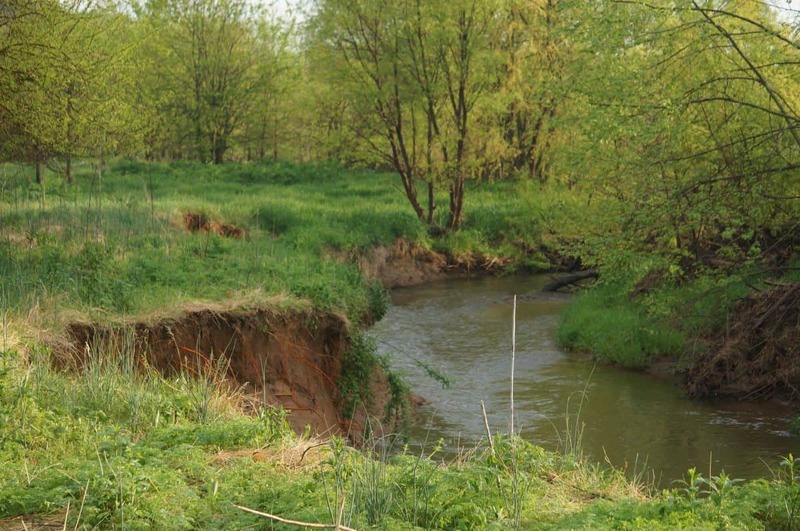 Riparian buffers are vegetated areas along waterways that help protect the water from pollution, stabilize stream banks, and provide streamside habitat for wildlife. 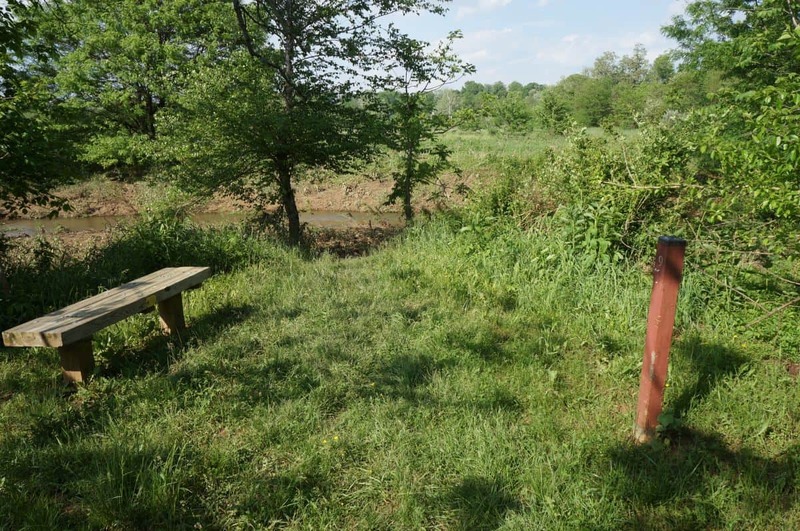 Water loving shrubs (such as gray and silky dogwood, buttonbush and elderberry) have been planted here by the Loudoun Wildlife Conservancy to restore the riparian buffer. such as these, bluebird populations are recovering. 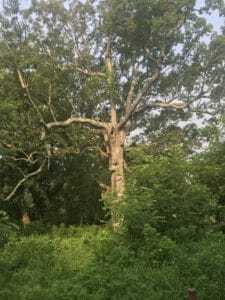 The large tree here is a green ash, an aging survivor of the 19th century. It and other ashes on the farm face an uncertain future with the recent arrival in the Washington area of the emerald ash borer, a destructive beetle native to Asia. 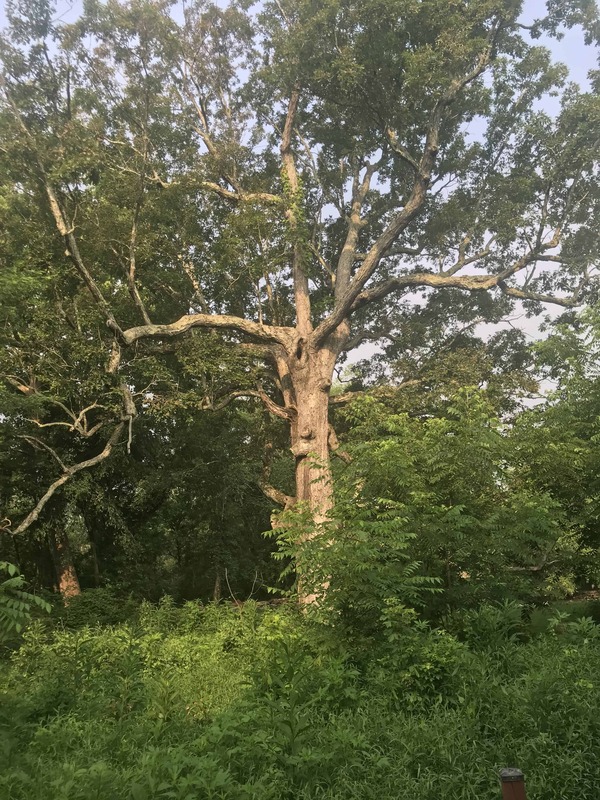 The glorious white oak in front of you may have witnessed the Quakers’ arrival her in 1733, as well as construction of the dam. Its long, low branches indicate that it did not grow in a forest. Local villagers have nicknamed it “Old John” in memory of John Hough (1720-1797), a Waterford Quaker who owned thousands of acres and a number of mills in Loudoun. 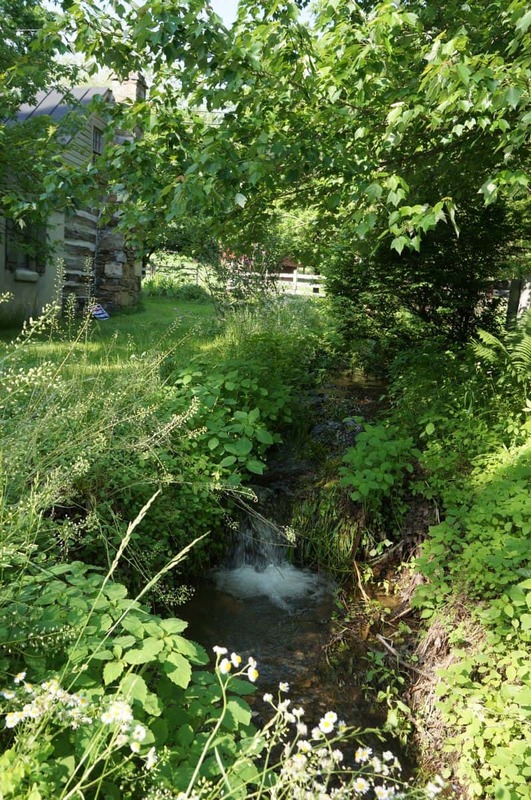 White Oaks were favored by early settlers for building baskets, barrels, flooring, furniture, and many other uses. Native Americans made flour from the acorns. The mill dam, like the race, dates from 1760. Consider how laborers managed to collect, move, and place such large boulders with no more than human and animal muscle. 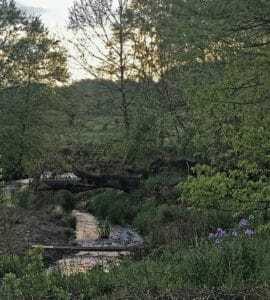 The dam once stoop a few feet higher-enough to raise the level of the impoundment more than 12 feet above the outflow from the wheel at the mill. 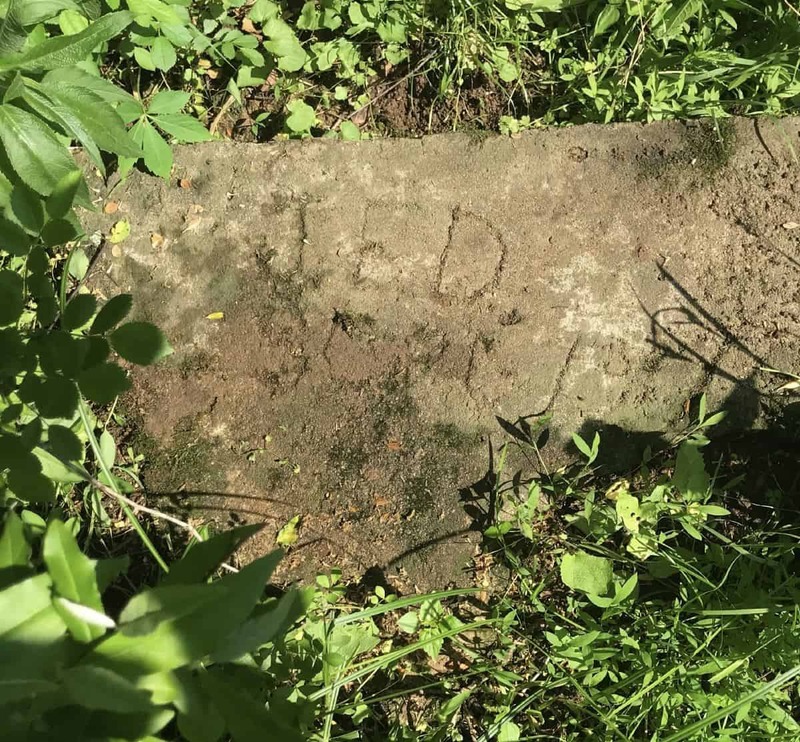 In 1908 at the near end of the dam, miller William M. Fling signed his name in wet concrete he used to cap and reinforce the dam. 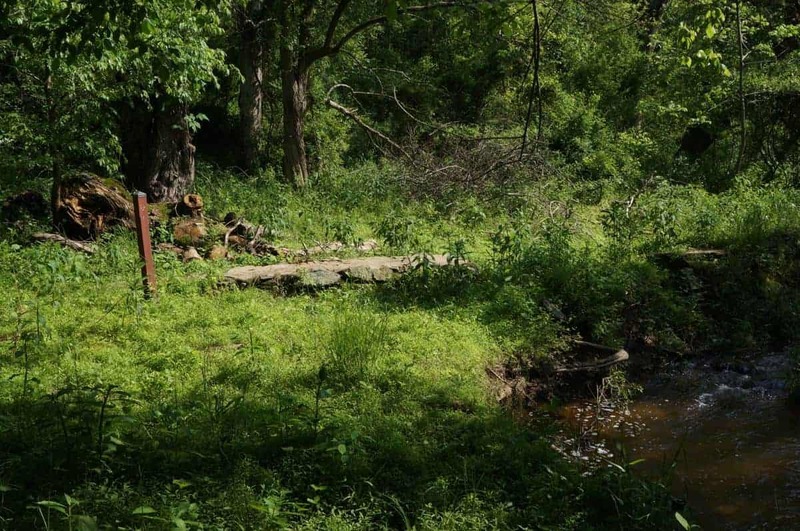 A bit beyond the dam, in 1814, African American Benjamin Kins and wife Letitia bought two acres spanning the creek and build a house. 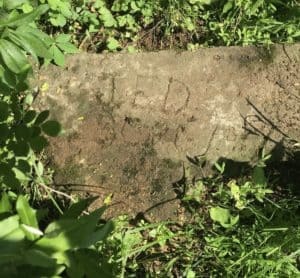 They were among the first black families in the area to own their own land. Benjamin had been born a slave in Calvert County, Maryland, about 1770, but owner John Talbott freed him when the Quakers abolished the use of slave in 1776. Talbott Farm remains today just southeast of the village. Please help us protect the farm's resources. • For your safety, please stay on the posted trail. • Please keep pets on a leash and remove their waste. 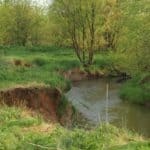 • So that others may enjoy this special place in the future, help us protect all animals, plants and cultural resources. Please do not collect or distribute plant or animal life or feed the wildlife. • For public health and safety reasons, there is no hunting, trapping, swimming, horseback riding, biking, use of motor-ized recreational vehicles, camping, smoking, firearms, fires, fireworks, or illegal use of drugs or alcohol. • Please carry out what you carry in. 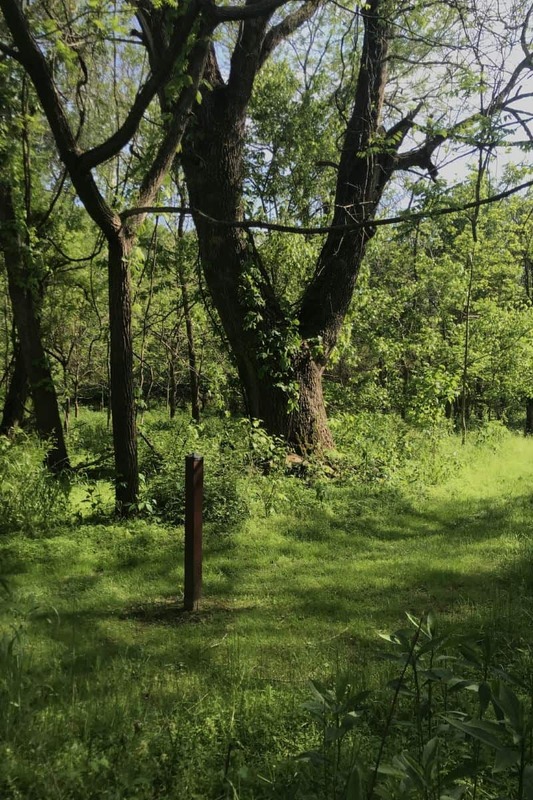 Since 1943, the community of Waterford has worked hard to preserve the open spaces within and around the Village. 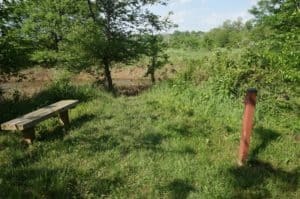 You are invited to visit and enjoy these spaces, and to treat them with care so that future generations may enjoy them, too. 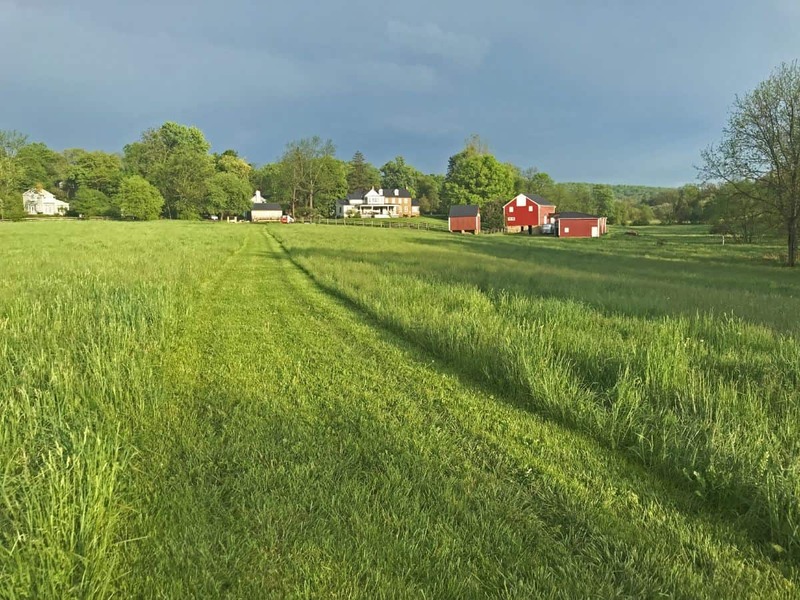 The Virginia Outdoors Foundation (VOF) holds a conser-vation easement on the Phillips Farm, ensuring that it will be preserved much as you see it today in perpetuity. Its significance to the Waterford National Historic Landmark District is such that any change to its use or appearance could threaten this national heritage designation. You are asked to walk only on the mowed trail and observe the above Rules of the Trail designed to enhance your enjoyment of the property and to protect your health and safety. 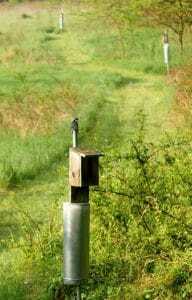 They also serve to protect the environmental quality, agricultural value and open space integrity of the farm.